Most recent publications along with topics in regards to Thoughts. Read about stories, mysteries along with handy advice about Thoughts. Obtain the most recent publications as well as write ups when it comes to Thoughts. Thou canst not touch the freedom of my mind, wrote poet John Milton back in 1634. However, today, 400 years later, with the technological advancement that led to the creation of machines that can read human thoughts. . .
Esoterics, mystics and those who have devoted themselves to studying the vibrations of the Universe say that the majority of people are making a mistake when they simply wish for something, wait for it to happen and then wonder why it doesn't. It's been proven that a person can wake up as many as 10 times per night, without this affecting their sleep quality. But if you start going through your phone as soon as you wake up you'll find it harder to fall sleep again. To prove his telepathic abilities, Ramses had to guess the numbers his mother thought of, while under the supervision of a Harvard medical team. Ramses's abilities are undeniable and place him in the top 5 child prodigies worldwide. 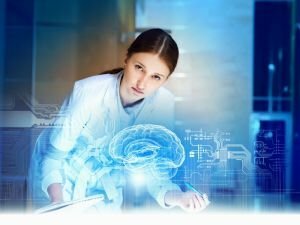 American scientists from Duke University have created a biological computer by connecting the brains of several monkeys into a single system, capable of solving simple tasks and problems. The Silva Method was created by psychologist José Silva, who claimed that by using specific techniques, anyone can learn self-help, how to overcome stress, insecurity and bad habits. When you have negative thoughts, when you feel powerless against the problems, go out in nature. A walk in the forest, a trip to the closest mountain or a walk on the beach - you will be surprised how much they will help. Synchronicity is the phenomenon, according to which, no events in life are a coincidence. All coincidences are the result of a specific law and show the relation of occurring events to the personality of any given person. Indian and French scientists have managed to send a thought to each other using telepathy. This is the first successful experiment proving that telepathy exists and that one day everyone will be able to use it.